We believe success comes from teamwork. Willow Bend Systems depends on reliable partnerships with leading vendors that enable us to enhance our services. Part of our mission as a company is to always proactively search for the newest and best solutions for each client. Each third-party relationship allows us to innovate in all areas of the services we provide. Willow Bend Systems has a diverse set of talents, but we are not afraid to look to others for help. Our vendor relationships allow us to go above and beyond with our managed IT services. Partners like VMware empower us with advanced capabilities like server virtualization and data backup and protection. VMware Air and Microsoft Azure also enable our cloud-computing services to protect our clients data. Our partnerships with brands like Cisco, Fortinet, WatchGuard, and Brocade are essential elements in our network installation. Willow Bend Systems is always searching for partners that can advance our skills and abilities. VMware: As a subsidiary of Dell Technologies, VMware is primarily a software company that delivers cloud computing and platform virtualization software services. They empower our services to manage and secure applications across the cloud and other devices. SonicWALL: Once a private company and now a member of the Dell group of products, SonicWALL delivers content control and network security. They are one of the top dealers we work with in securing our network installation services. SonicWALL provides industry-leading security practices that help us keep your sensitive data safe. Mitel: Mitel is a telecommunications company that primarily focuses in voice over internet protocol phone system products. We have partnered with them to deliver VoIP telephone services to our clients. This is a service that cuts costs and increases your information security. Microsoft: The Microsoft Corporation is one of the largest technology companies in the world. Their products and services have countless applications that we can take advantage of to enhance the power of our own client services. Our partnership with them enhances our cloud services. Hewlett Packard Enterprise: The result of a split for the original company, HPE is made up of two divisions: The Enterprise Group that focuses their work on servers, storage, networking, consulting, and support. Cisco: Cisco Systems Inc. is one of the largest telecommunications companies in the world. The primary thrust of their work is in the design, construction, and sale of networking hardware and telecommunications equipment. Cisco is another solid partner that assists in [network installation] planning and execution. Dell: Dell Client Solutions Group is among the largest suppliers of technology hardware. They build and sell everything from personal computers to data storage devices and HDTVs. Trend Micro: Willow Bend Systems has partnered with Trend Micro to defend our clients from outside threats better. They are an international company that specializes in cybersecurity and defense. 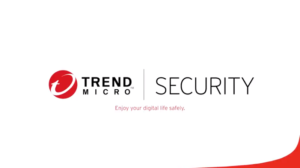 Trend Micro even provides cloud security features for VMware, Amazon AWS, Microsoft Azure, and vCloud Air. Veeam: Veeam Software is a private company that delivers intelligent data management across the entire industry. Their technology is a building block in the risk management and disaster recovery plans of multiple cloud infrastructures. Find out how our partnerships can help you and your business today.